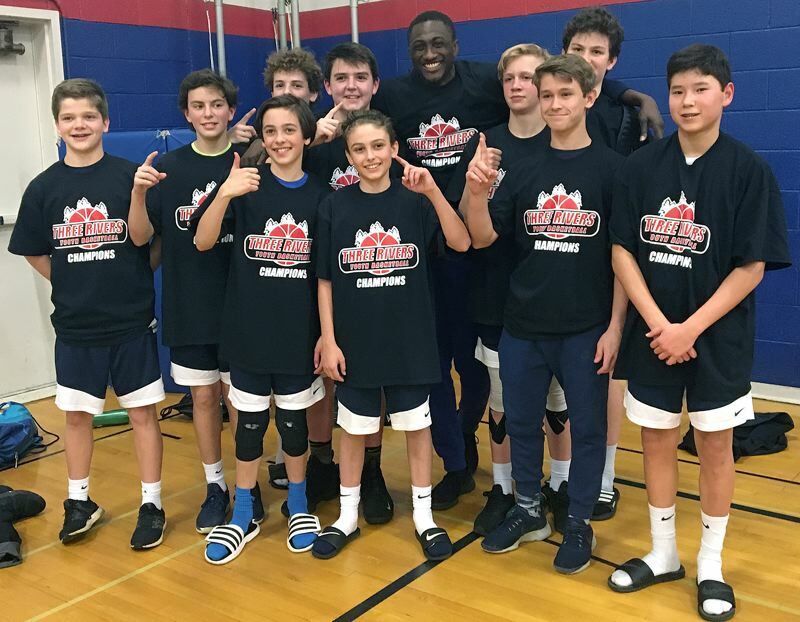 The Lake Oswego eighth-grade boys basketball "B" team — "Team Kamara" — won the Three Rivers League tournament championship with a thrilling one-point overtime win over the Lakeridge eighth-grade "A" team 74-73 on Sunday. After going undefeated in pool play with wins over Wilsonville, Reynolds and Barlow, Lake Oswego was matched up against Lakeridge for the championship game at Lake Oswego Junior High. Lake Oswego came back from a 17-point deficit in the second half with a tight, pressing defense that created turnovers and a barrage of 3-point shots that tied the game and sent it into a thrilling two-minute overtime. In the overtime, Lakeridge took the early edge but Lake Oswego came back to grab the lead and held on in the final 12 seconds for the exciting win. The team included Cole Daly, Will Radich, Finn Deemranzetta, Caden Saefke, Blaise Heher, Blake Tumbleson, Jackson DeBorde, Austin Leykam, Brennan Baker, Derrick Drango and coach Juma Kamara.